This is all about the discount which companies are giving to the Blogging ERA readers. This page will help you to save thousands of dollars on purchasing product and services. All the products are trustworthy and used by me. 1- Bluehost- Bluehost is the most trust web hosting company. If you want to start a WordPress blog at a low price, then I recommend for Bluehost web hosting. You can start a blog in just 3.75 per months and if you sign up through my link, you will get your domain for free for 1 year. To start a WordPress blog CLICK HERE. 2- Mythemeshop.com- There are so many themes which are free of cost but I recommended all my readers to go for premium themes only, even if you are a beginner. The blogging ERA has something very good for you all. You can see hundreds of premium themes at mythemeshop.com. and you will get a discount if you buy it from my link only. I personally have a very good experience with mythemeshop.com. Mythemeshop themes are SEO friendly, fast setup, money back policy, premium security, premium speed, powerful, elegant, reduced server load, compatible with latest WordPress, customizable and with high loading speed. You don’t need to worry about anything as they got 24*7 supports for their customers. So, if you really want to make a profitable blog, then I highly recommend going for the premium theme from mythemeshop.com only and you will get a discount over there. This discount is only through my link. To purchase your theme CLICK HERE. 3- Sendinblue- Sometimes I laugh at myself whenever I think about this mistake. I lost so many potential readers just because I didn’t collect emails from starting. In this case, Sendinblue helps me so much. Sendinblue helps me to grow my blog. It is something which is built for you. I recommend to all my reader to go for Sendinblue email marketing as it is very easy to set up, create subscription forms to build your email list, you can manage to subscribe lists from your WordPress dashboard and you start your SMS marketing campaigns. Sendinblue is such a great tool for bloggers. It is very important to collect email and to send newsletters then I recommend to use only SendinBlue. 4- Semrush– Semrush.com is one of the best all in one marketing toolkit for digital marketing. This marketing has been trusted by many big companies like eBay, Quora, booking.com, and hp. This is the most important tool on my blog as it helps me to earn thousands of dollars. So don’t be late and sign up today. 5- All in One SEO- All in One SEO Pack Pro (Search Engine Optimization) It’s time for the most important plug-in which will help you to get organic traffic from Google search engine. You can’t earn a single penny if you are not getting organic traffic. In the starting, I did not know about All In One SEO and I lost so many visitors. So don’t be late like me and purchase All In One SEO as soon as possible and you also get a discount if you purchase it from my link. I recommend to all my readers to go for the Individual plan where you will get a 50% discount through my link only. It does also help your blog to connect with Google and Bing and if you want to make money from your blog. All in SEO also provide Blogging ERA readers discount. To purchase your SEO Click Here. 6- MonsterInsights- MonsterInsights is the best Google Analytic plugin for WordPress. It allows you to connect your website with google analytics and let you see more about your website visitors such as where are they coming from and for what they are coming. MosterInsights also has a free version but I highly recommend to buy the paid version in order to make more money from a blog. MonsterInsights is also giving a 20% discount to all the Blogging ERA readers which are only through my link. MonsterInsights is very easy to install and you can enable the feature in just one click. You don’t need any coding. To get your monsterInsight CLICK HERE. 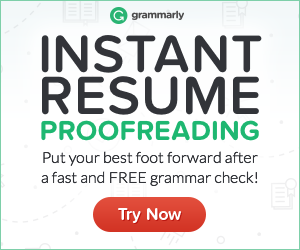 7- Grammarly- Grammarly is the world’s leading software suite for perfecting written English. It checks for more than 250 types of spelling, grammar, and punctuation errors, enhances vocabulary usage, and suggests citations. To sign up at Grammarly CLICK HERE.